Honestly, my visit to Lady M Confections in New York City was more of an afterthought than an eagerly planned destination. Blame it partly on our intense itinerary, but more importantly, dessert is not really in my wheelhouse. However, that is the complete opposite for Costanza. So when he spotted a location in Rockerfeller Center, he motioned for me to join him in line. 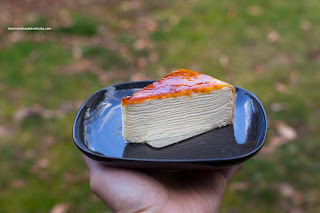 Oh all right, since we were there anyways, I ended up getting some crepe layer cakes and to my surprise I liked it! 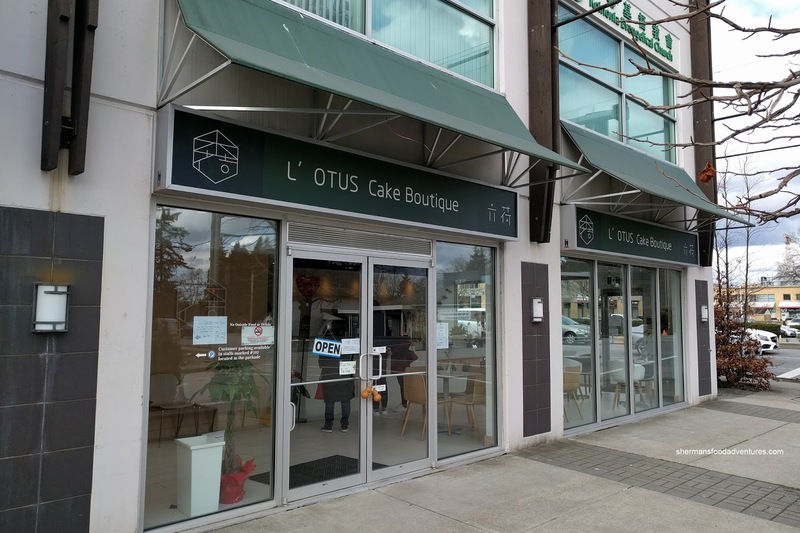 Now there is no Lady M here (yet), but L'otus Cake Boutique in Richmond tries to emulate the same experience. 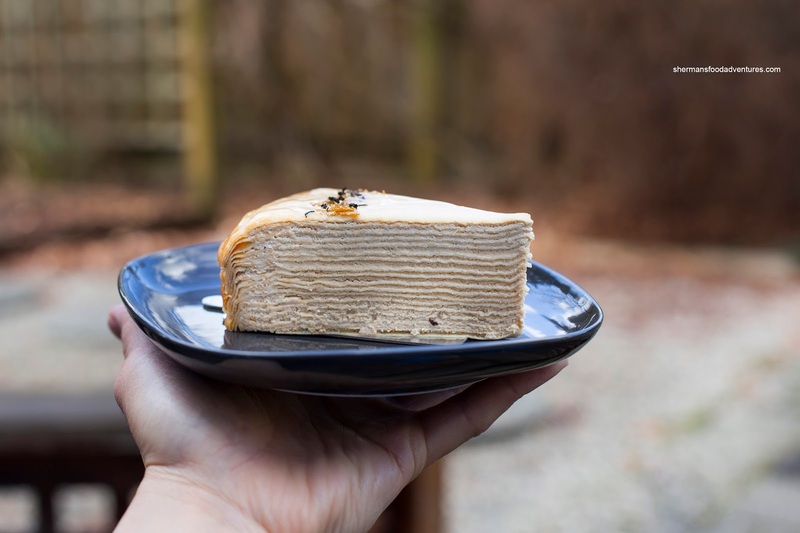 I picked up all 3 of their flavours to see how they stack up (sorry for the pun) to Lady M. I started off trying the Earl Grey first and it appeared to be neatly prepared and pretty stable when I took it out of the plastic wrapping. Initially, I didn't get much essence with my first bite, but in the end, the tea flavour came though. It wasn't bitter nor was it weak, hence it was just right in my books. 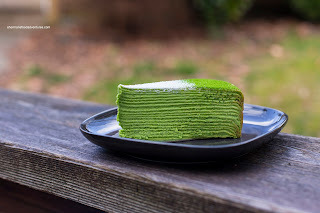 Surprisingly, I found the cake needed a bit more sweetness for my tastes. The tender layers of crepe were texturally on point until I got to the edges where they became rubbery and dry. In between, the creme was light and airy. Next up was the more impactful Matcha where the green tea came through on the initial bite and got more intense at the end. It wasn't too bitter though, where the sweetness still came through. The Creme Brulee was my favourite as it encompassed all the same good features as the previous 2 cakes in terms of texture. With the addition of a torched sugar top, there was a smoky and sweet caramel essence that was quite nice. This is where I appreciated the mildly sweet cream since it did not interfere with the sweeter and more intense torched sugar. Again, the edges were pretty disappointing though. Just stopping short of the end made for a better experience. I hate to compare with Lady M since it is not even available here, but the ones at L'otus are still good and worth trying.